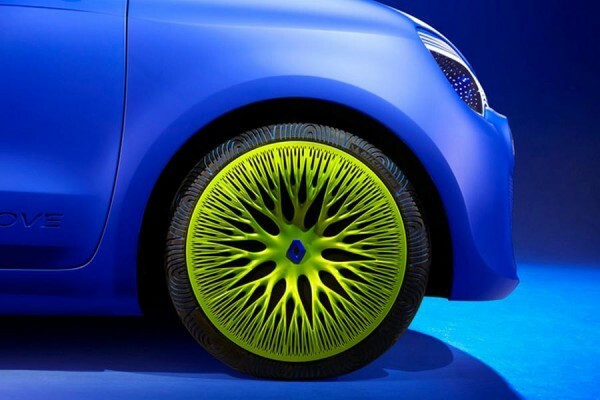 Renault unveiled a striking blue concept car by Ross Lovegrove, a British furniture and product designer, at the Salone Internazionale del Mobile di Milano furniture show. 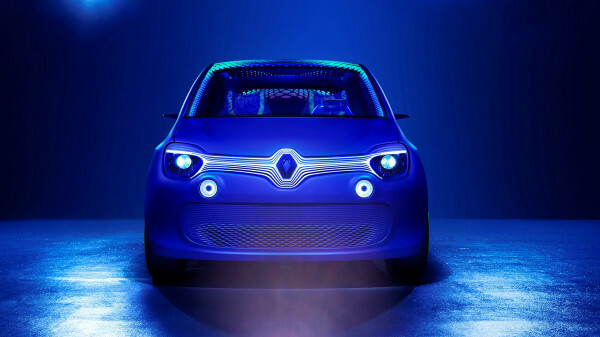 Renault says that the Twin’Z is a fun, modern, artistic take on a city car that draws inspiration from some of the Renault’s most iconic models, such as the R5 and the Twingo. 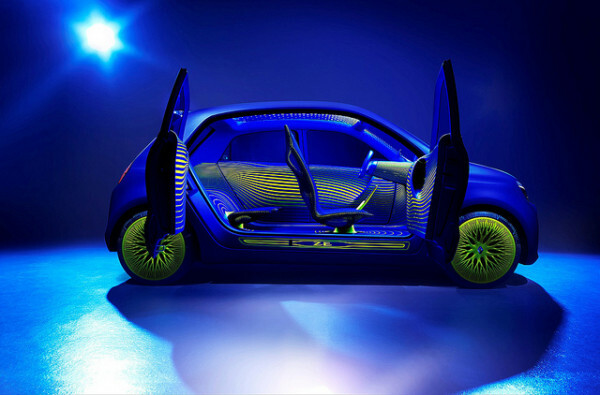 The Twin’Z is an all electric city car featuring rear-wheel drive and a rear-mounted electric motor. The top speed is 81 mph and the vehicle has a driving range of 100 miles on a charge. 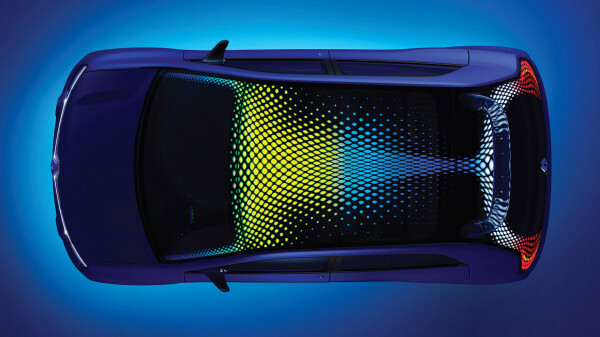 The Twin’Z’s glass roof is designed in layers and incorporates an array of LEDs which form animated patterns intended to enhance the overall experience of the driver and passengers. Inside, the seats have been upholstered in a 3D woven, self-cushioning, lightweight blue textile which is both waterproof and flame resistant. The conventional dashboard has been replaced by a single tablet with a touch-screen display that controls everything from the vehicle’s heater systems to the roof. A smartphone display’s the vehicle’s speed, range-related information and the principal warning lights. 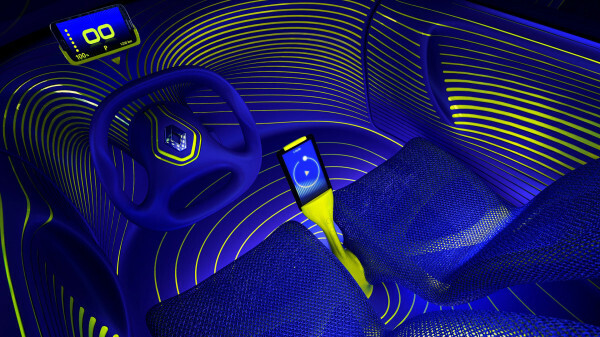 Renault chose to reveal its concept car at the ‘Salone Internazionale del Mobile di Milano’, to prove its determination to reach out to a wider audience by targeting those who are more sensitive to design.